How many Smart Lights do I need in my home? 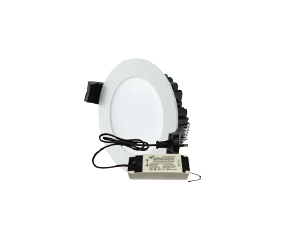 The most popular Smart Light for residential installations is the DDLE10CT. This Smart Light produces more than 850 lumens of light power with a 120 degree beam. This performance allows you install far less lights than traditional halogen downlights that produced only 600 lumens with a 60 degree narrow beam. See our Residential Lighting Guide under Download to assist you to develop your own lighting design. Does each Smart Light require a power socket? Yes, each Smart Light comes with a Plug and lead. This provides an easy way to replace your Smart Light if needed in future. It is not recommended to directly wire the Smart Light driver to the 240volt mains power cables. Simply request your local electrician to use a ceiling socket or quick connect socket at each light point. What size room would a single Smart Light provide sufficient lighting? Assuming you have light walls and ceilings, we would suggest one Smart Light in the center of room less than 3,5meters x 3.5 meters. If you prefer to have a ceiling fan in the center, install a Smart Light on either side of the fan, centered between the fan blade tip and the wall. Refer to the Residential Lighting Guide within the Download page in the main menu. What rooms in the house need more light than others? Any room that you intend doing any detailed work on a regular basis should have twice the normal level of light. For example, Kitchens, Sewing Rooms, Work Shops & Reading Rooms. Refer to the Residential Lighting Guide within the Download page in the main menu. Can I still use my wall switches to control the Smart Lights? Yes, being able to control the Smart Lights via the Wall Switch is a must have feature. You wont always have the Remote or your phone with you. The wall switch still is the easiest way to turn lights on and off. Normally the light switch will remain on. If you want to turn the lights on, simply turn the wall switch off and back on again. The lights will come on at the last setting of dimming and color. If its not bright enough, turn the wall switch off and on quickly and the Smart Lights will return to 100%. Repeating this process will force the Smart Lights to move between Cool, Daylight and Warm. How Smart is that! Can I just have one Smart Light installed or do I need to do the whole house? Great question, we are asked this all the time. Yes, you can have one Smart Light installed and control it via a Smart Remote if that’s all you need right now. Some people just want to start with one or two rooms and think about doing other rooms at a later stage. So if you want to start with one or one hundred Smart Lights, the choice is yours. Its just so easy. How many Smart Remotes do I need? This choice is yours, we would recommend at least two per household when combined with the G-Smart App on your mobile device. If you plan to use only remotes, count the number of light groups you have a divide this by four. This will give you the number of remotes you may need. Remember, each Smart Light can be controlled by four remotes and/or G-Smart App controls. What is the range of the Smart Remote? The Smart Remote uses the WiFi radio frequency and has a range of more then fifteen meters. Remember, each Smart Light is also a repeater to increase the reception of the Smart Remote command through your home. Are the Remote and Smart Lights easy to program? Very easy. To pair the lights you want to a remote, simply turn the light switch on, wait for the light to come on and then press one of the zone ‘|’ buttons at the bottom of the remote. The Light will flash to confirm the pairing. Repeat the process for the remaining lights and zones. Additional lights can be added to any zone by repeating the process. You will be finished in minutes. How gradual is the control of light dimming and color change on the Remote? Both dimming and color change can be adjusted in ten increments from 100% to 5% for dimming and ten increments from Cool to Warm for color change. Can I control all the Smart Lights in the home at once? Yes, simply use the Master On ‘|’ and Off ‘O’ buttons at the top of the Remote or App device. All Smarts Lights paired to any of the four zones will be controlled. Once the Master On button is pressed, you will be able to control dimming and color change for all Smart Lights at once. What if I lose my Smart Remote? Additional Smart Remotes can be purchased at any time. Simply Pair the Smart Lights again as required and you are ready to go. Can I quickly change dimming to 100% and quickly change color from Warm to Daylight to Cool? Yes, press and hold the ‘|’ button for either a zone or the Master on button and the lights will return instantly to 100% brightness. Press and hold again and the lights will change between Warm to Daylight to Cool. Can I have one Remote to control the whole house and other Remotes to control specific rooms? Yes, you can set-up one Remote to be the Master Remote. Simply divide the home into four living areas and pair each area to one of the four zone buttons on the remote. This way, the Master buttons will operate every light in the home. Leave this remote near the front door to conveniently turn all lights on and off as you leave or arrive home. How many Smart Gateways do I need? Each Smart Gateway can control up to 200 Smart Lights. So most homes will require only a single Smart Gateway. Remember, the Gateway is only required if you plan to use the G-Smart App on your phone or mobile device. What does the Smart Gateway connect to? 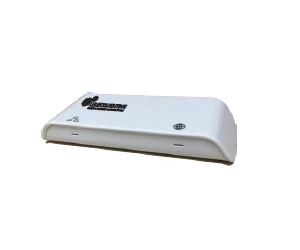 The Smart Gateway connects directly to the Ethernet port on your internet WiFi Router. Power is supplied via a micro USB cable. Can I control the Smart Lights when I am away from home? Yes, simply connect the Smart Gateway to your WiFi router and download the G-Smart Life App. Can I set times for the Smart Lights to come on and off? Yes, use the G-Smart App to first link a Lighting Control devices to a Scene Name and then set timing within the Magic/Timer section. How do I pair the Smart Lights using the G-Smart Life App? Can I pick up directly from Epping Victoria? Yes, by appointment only. Local customers are welcome to collect orders from the goSmart Lighting warehouse. Appointment is required for collection. Does goSmart Lighting also arrange installation? goSmart Lighting is your Smart Lighting Specialist and will assist you every step of the way from initial inquiry to after sales service. If you are building a new home or renovating your existing one, we will work with your builders electrician to ensure they understand exactly what to do. In short, no special wiring or installation is required. In most cases, your electrician will install your Smart Lights and you will pair the lights to your remotes and Smart Application. If you need any assistance along the way, goSmart Lighting is just a call away. What is the cut-out size required? The cut-out size is between 87mm and 92mm. Suggested cutout for the best fit is 87mm. Do I need to install special wiring for the Smart Lights? No, our Smart Lights do not require any special wiring or setup. Simply install the Smart Lights as you would any other LED Downlight. Test like normal using the wall switch, if you notice some downlights are set to Cool and others are set to Warm, dont worry, the owners will adjust the color setting later. If you want to adjust the color, simply turn the wall switch off and on quickly to see the lights adjust. Thats Smart! Do the Smart Lights require special switches to be installed? No, the Smart Lights have Wifi capability, color change and dimming functions in-built. So any standard 240V light switches are fine as they simply provide power to the Smart Lights. You do need to ensure any existing wall dimmers are bypassed as the Smart Lights require full voltage to operate normally. What additional set-up is required to get the Smart Lights operational? For you, none. The pairing between Smart Remote and Smart Light is so simple, the owners will do that after you leave. Pairing to the Smart App on the owners is really simple also. If the owners need help, they will contact us for assistance. Its that easy! My customer wants dimmers everywhere in a home with solid walls. No problem here. Leave installing wall dimmers in the past. Just install Smart Lights and show them how they can not only dim from anywhere in the home from 5% to 100% but can take control of the color setting from cool to warm in ten increments plus much more. Its so easy. I’m thinking to include Smart Lights as a standard inclusion in the homes I build. Now that’s a Smart move. First thing to understand is there is NOTHING extra your electrician has to do. So no added complexity here. Second thing to understand is that wall dimmers are a thing of the past so your electrical costs will be reduced. Thirdly, your new homes will have a competitive advantage in the new home market. Send an email to sales@goSmartLighting.com.au so we can discuss what we can do for your first Smart Display Home.